Hosted by the Concordia College Offutt School of Business, this monthly luncheon series convenes conversations at the nexus of faith and work. Join us to network with local and national leaders from business, public, nonprofit and education sectors share how they involve faith values in their practice. The Lorentzsen Center Faith at Work Luncheon in April is featuring Paul Richard and Lauris Molbert who will share their experiences of organizational stewardship and the values that guide their decisions as they design their “post-retirement” leadership engagements, on "Leadership and Transitions." The leaders who get the most out of their people are the ones who care the most about their people. One approach to caring for employees is through workplace chaplains. Come hear from chaplains and business leaders about this employee benefit that far exceeds the traditional EAPs. Paul Richard is a retired health care lawyer and executive. In 2018, Paul retired from his role as the executive vice president of Sanford Health in Fargo, No.D. He was employed or affiliated with the organization for more than 40 years. Raised on a farm in rural Cass County, North Dakota, with 10 brothers and sisters, Paul began his career at St. Luke’s Hospital, now Sanford Medical Center Fargo, in 1971 as a medical records clerk. After completing degrees in nursing and business economics at North Dakota State University, he transitioned to a new role as a quality review nurse. He received his Juris Doctor degree from the University of North Dakota in 1979 and joined Serkland Law Firm in Fargo, where he practiced law for 20 years. Paul was appointed General Counsel of MeritCare Health System (now Sanford Health) in 1998 and he added further executive duties in 2007. 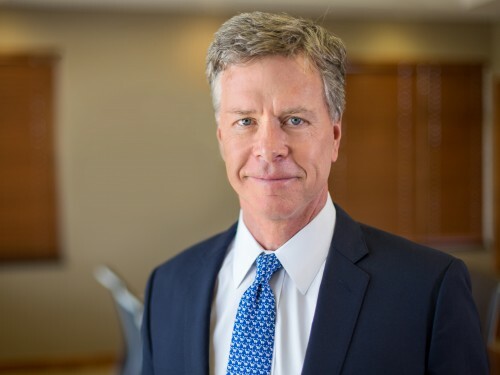 When MeritCare Health System merged with Sanford Health of Sioux Falls, S.D., in 2009, Paul was named chief legal officer, a position he held until 2013 when he was named the executive vice president of Sanford Health Fargo. As executive vice president, Paul was the Fargo market leader and was accountable for the entire Fargo market, which encompasses the Sanford Medical Center and Sanford Clinic locations in the Fargo-Moorhead metro area. Sanford Medical Center includes three medical center campuses located in Fargo, including the new $494 million state-of-the-art 284-bed campus that opened in July 2017. Paul is licensed as an attorney in North Dakota, South Dakota and Minnesota. He is a member of the State Bar Associations of North Dakota, South Dakota and Minnesota, and the American Health Lawyers Association. 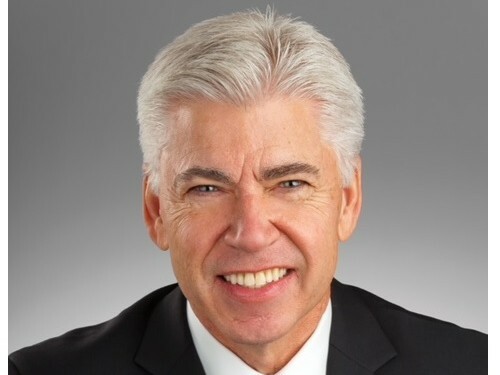 Throughout his career, Paul served on numerous boards, including the North Dakota Hospital Association, the American Hospital Association Regional Policy Board, Greater Fargo-Moorhead Economic Development Corporation, Tri-College University, Fargo, Moorhead, West Fargo Chamber of Commerce, Bethany Homes, State Bar Association of North Dakota (Past President), State Bar Association of North Dakota Foundation, and North Dakota Board of Law Examiners. He and his wife, Mary Jo, live in Fargo and have three adult children. Lauris Molbert is currently the executive chair and member of the Investment Committee of Kilbourne Group. Kilbourne Group, located in Fargo, is a real estate developer that specializes in urban cored mixed-use infill projects, including commercial, retail and multifamily. Prior to joining Kilbourne, Lauris served as CEO and chair of TMI Hospitality Inc., which was headquartered in Fargo. Before its recent sale, TMI Hospitality owned and managed approximately 200 hotels in 26 states and had more than 4,500 team members. Lauris also served as the COO and executive vice president of Otter Tail Corporation from 1995 to 2011. Lauris is serving and has served on many public, private and community boards. He graduated from the University of North Dakota School of Law and also earned undergraduate degrees in finance, accounting and banking from the University of North Dakota. He is a licensed attorney and certified public accountant. The Lorentzsen Center for Faith and Work was reimagined in 2012, built on the foundation of the Center for Ethical Leadership under the direction of Dr. Jim Legler, professor emeritus of management and leadership. Built on the legacy of critical thinking on ethical and values-based leadership on campus and in the Fargo-Moorhead community, the Lorentzsen Luncheons offer the opportunity to hear from a diverse array of speakers. The center honors the life and work of the late Norman M. Lorentzsen, esteemed philanthropist, former CEO of Burlington Northern, alumnus of Concordia College, and former member and chair of its Board of Regents. “I have worked with many folks from the Fargo-Moorhead community, Twin Cities, Sioux Falls, Bismarck and Billings to curate events that engender conversations at the nexus of ethics, values, faith and our lives at work,” said Dr. 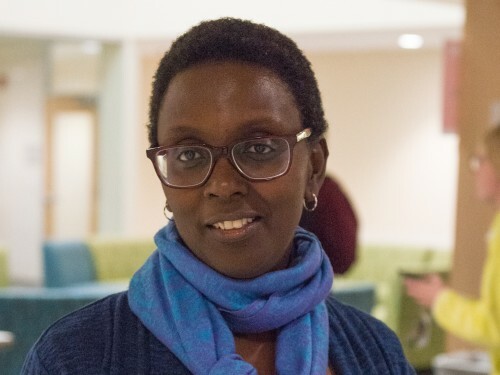 Faith Ngunjiri, who has been the director of the Lorentzsen Center for Faith and Work since 2013 and is the associate professor of ethics and leadership in the Offutt School of Business.